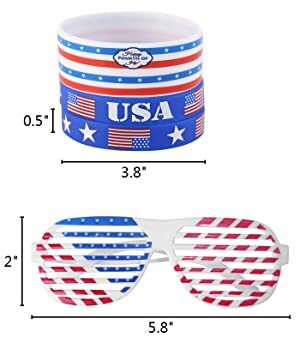 4 Shutter Shading Glasses - One size fits most.Glasses are made of plastic.Lens width:5.8"，Lens height：2".Put the eye with these fun 4th of July novelty glasses. 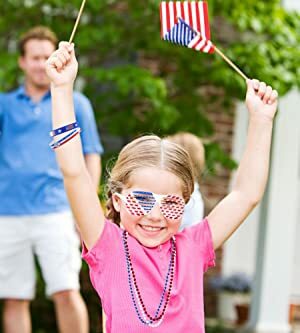 Dress up your Patriotic costume with some cool shades! 6 Necklaces - The necklace measures about 16" in length and includes 3 different colors. 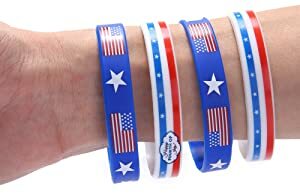 6 Rubber Wristbands - The two styles wristbands of Independence Day with fonts "USA" or "Happy Fourth of July "measures 2.56″in diameter and 0.5″wide,made of silicone. 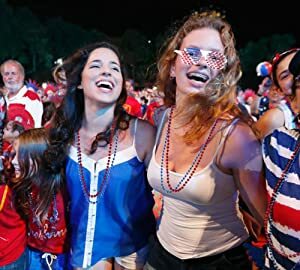 Makes a great Party Favors or gifts for your school students,friends,family members or anyone with a sort of patriotic background somewhere along the line. Display your love of your country on Independence Day,Presidents Day or Labor Day! 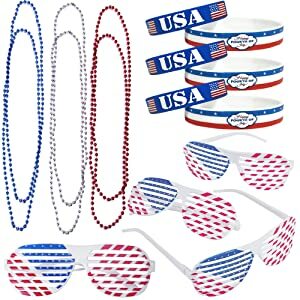 This 4th of July set is the perfect start to your patriotic party!